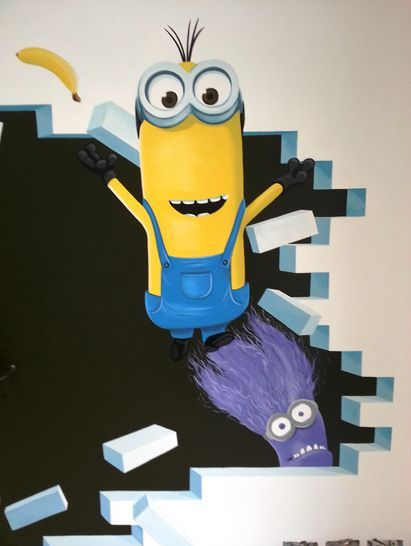 This fun Minion mural was painted in a childrens playroom. 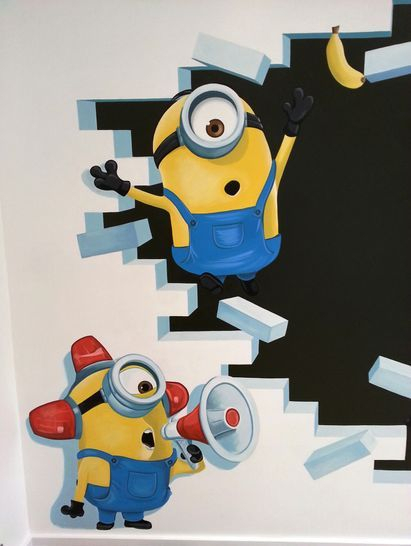 We painted the wall to look as if it was bursting open and the Minions were jumping out. 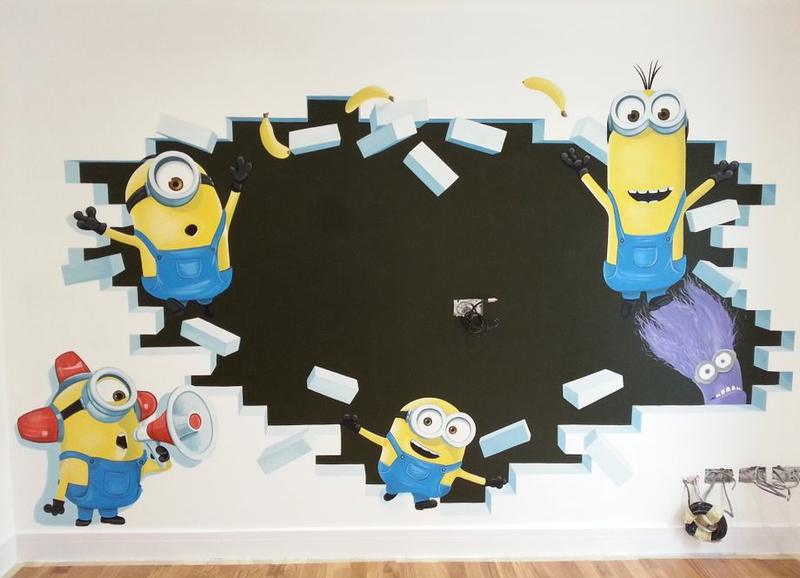 A large TV will be going in the empty dark space to make this a real feature wall. 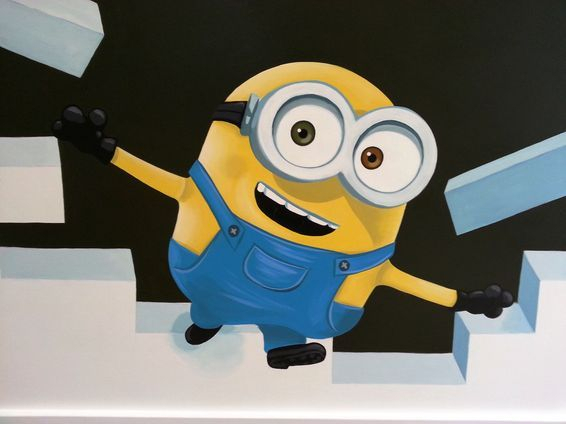 This mural took us three days to complete.